What does freedom mean to you? This is a question that gets myriad answers, for innumerable reasons. All about our environs we can see many patriots today, but how many of them are proactively looking out for their rights? How many individuals are speaking out when they see individual freedoms stripped away? How many are speaking out against the growing police sate? What about speaking out about the noxious genetically modified foods they eat? What about the attacks on our right to self defense? What about speaking out about any of the other impending issues? As a society, today we celebrate Independence Day, but ironically enough, we’re so dependent on the system that if it just slowed down for a second, people would lose their moral compass. In fact, within the last couple of decades, during the times society has tasted but a semblance of a catastrophe or a disaster this premise plays out in a highly disturbing manner. Katrina is a prime example of this, and not the only one sadly. Yes, not every person acts in a self-centered manner when things go down the drain, but the amount of people that do carry out such actions is more than troublesome. It only takes but the softest of winds to blow down a house of cards, and that’s exactly what our economic system has become. Why else do you think handed bankers that were ‘Too Big To Fail’ ‘Too Big To Jail’ trillions and trillions of dollars in 2009? That wasn’t that long ago, and it’s like nobody remembers. Worse, nothing’s inherently changed. Not one damn thing. Our society has changed incredibly in the last century. The farther back in time one goes, the more it is apparent people were their brother’s keeper; the more individuals were willing to stand up for what they believed in, and stand up against tyrannical measures. These salient thoughts spring forth even more issues to ponder on this 4th of July. Have these so called patriotic festivities just become a facade? A garrulous ghost of our past? Are we just celebrating, because, that’s just what American society does on its day off? Is it done because that’s just what we’ve been taught to do? Is it because of its deeper meaning? Ruminate on that for a bit. At a cursory glance, it seems that it’s become automatic to celebrate this day while not delving deeper into the finer meanings it entails. And speaking to many friends and acquaintances these last few days, this is confirmed over and over with most conversations had. Fourth Of July has become a superficial celebration it seems, and that overriding theme of enjoyment without rumination has concerningly made this date a shadow of its former self. Seeping deeper, why does apathy abound in American society? Is it a stagnant state of mind, or has our mind – our most powerful weapon as individuals – been dulled through inaction? America was once the shinning beacon of the world. At this moment, if you were to ask people within America, a good lot would tell you this is still so. Now if you’ve traveled extensively outside of America, you will realize quickly that those sentiments are not shared by most other cultures for myriad reasons. As a society we have allowed apathy to take charge of our life, myself included. We have allowed for this deleterious emotional state to infect us, our kith and kin, like a virus and be the impetus for our descent into societal stagnation. Its kind of ironic how many love celebrating freedom on this day but allow the freight train of tyranny to continue barreling down the tracks. Seeing so many flags on this 4th of July is a great thing, but if all they are is a hollow gesture – something robotic – that we’ve come to just do as a society without respecting its deeper meaning, then we’ve lost part of ourselves somewhere along the road most traveled. Patriotism, on the surface, abounds. And yet, nigh nobody is willing to back what it means when the country needs it’s people the most. With every new law passed, Freedom sheds another drop of blood to the vampiric and corrupt system that harvests human potential in every way, and then spits empty skeletons back out by the tens of thousands when it’s done chewing them out. 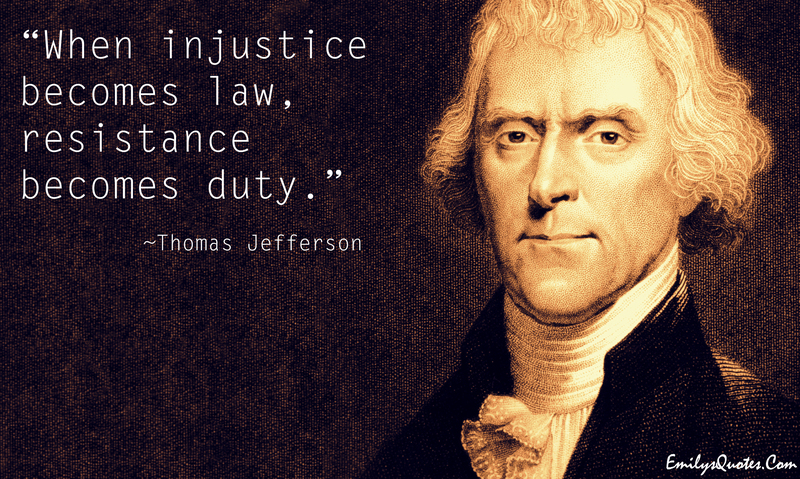 Ever notice how laws always empower the state, and never empower you – the individual? In fact, one could argue that most laws not only do not empower individuals, but they seek to disempower individual action. That’s highly disturbing, because we’re supposed to live in a ‘free’ society. 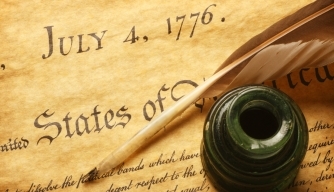 This 4th Of July, it would be prudent to take note as to why it is called ‘Independence Day’, and why this day is celebrated in the first day. Am an not talking about taking superficial note. Am talking about a deeper, more inward rumination about the endless events that transpired for an entire country – our country – to not only shed its shackles, but to change the course of history in the process that allowed the world to take notice of what the idea of Freedom and all that it entailed stood for once cemented with a tsunami of firm action. America fought tyranny before, and it came out on top. In more recent times, from many angles, its fighting it again. With SB277 coming down the pipe, Medical Tyranny will reach new untold levels with people being forced to carry out medical procedures. And if we don’t stand up, it won’t stop there. Worse still, with Gunpocalypse also now firmly in the fray in Kalifornia, people’s right to self defense in that state just took such a tyrannical hit that reverberations are still being felt from it everywhere. If we don’t stand up for our rights now, we will only have a bigger whole to dig ourselves from later. Waiting for when tyranny knocks on the door to take action is tantamount to waiting for the last second to attempt to cut the fuse of an explosive. The best way to defend against tyranny – or defend against any threat – is when its beyond your perimeter, where you can see its every action, and thus, act accordingly. Let’s be cognizant and make sure what transpired on 4th of July does not happen again. Ever. Stand up for what you believe in. Do what’s right. Stand side by side with others and lets cast an unremitting light on the shadows once and for all. “Mr. Adam’s sine qua non of a good government is three balancing powers, whose repelling qualities are to produce equilibrium of interests, and thereby promote the happiness of the whole community. He asserts that the administrators of every government, will ever be actuated by views of private interest and ambition, to the prejudice of the public good; that therefore the only effectual method to secure the rights of the people and to promote their welfare, is to create an opposition of interests between the members of two distinct bodies, in the exercise of the powers of government, and balanced by those of a third. This hypothesis supposes human wisdom competent to the task of instituting three co-equal orders in government, and a corresponding weight in the community to enable them respectively to exercise their several parts and whose views and interests should be so distinct as to prevent a coalition of any two of them for the destruction of the third. Mr. Adams… has not been able to adduce a single instance of such a government.” (Centinel, Number 1, October 5, 1787, The Anti-Federalist Papers, ed Ralph Ketcham (New York, American Library, 1986] p. 230). A truth commission set up to investigate allegations of human rights abuses in Tunisia before the 2011 uprising has just announced to have received a total of 65,000 claims. Complaints have been pouring in from all over, including from Islamist parties, members of the opposition, activists, non-governmental organisations, and trade union members, marking an astonishing increase from the already overwhelming 12,000 claims of abuse received by May last year.